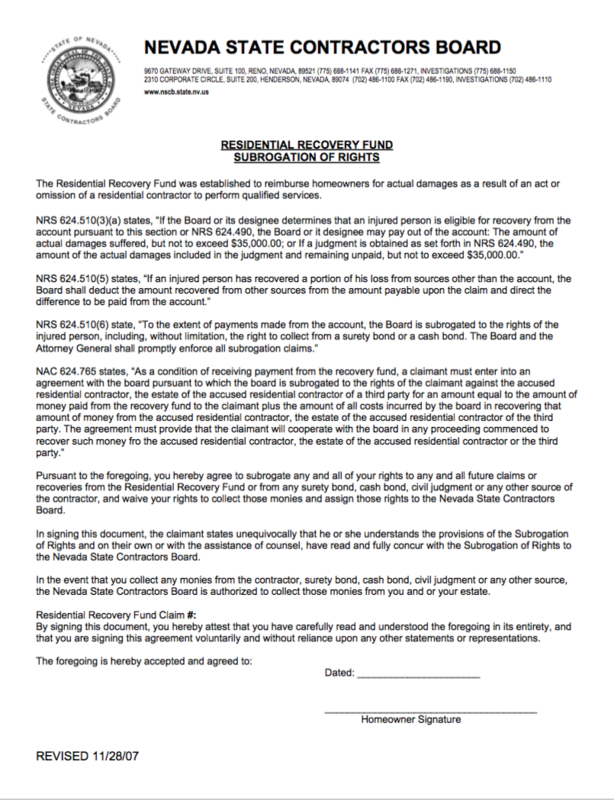 The Residential Recovery Fund is designed for homeowners seeking to recoup losses from properly licensed contractors. Claimants should pursue other avenues (surety as cash bonds) for recovery prior to seeking assistance from the Fund. When considering offers of settlement by or on behalf of the contractor, claimants should keep in mind that recovery of their entire loss from the Fund is not guaranteed. If the injured person has recovered a portion of his/her loss from sources other than the account, the Board shall deduct the amount recovered from other sources from the amount payable upon the claim and deduct the difference to be paid from the account. The Residential Recovery Fund is not available to homeowners who hire unlicensed contractors, or who do not live in single-family residences.